Goodbye desktop, we're off to see the web. Both my students and I have been challenged this semester by the diversity of computer platforms, software versions, and unexpected bugs. Naturally, I turned to the world and my readers for help and suggestions. Some readers have suggested we could solve everything by using Linux. Others have convincingly demonstrated that Open Office is a reasonable alternative. But, now there's something new and cool on the web. Okay, it's still in the beta stages, and apparently it can only be used by a limited number of people at a time, but it's certainly there and with a bit of persistance, I was able to try it out and get it to work. To make a pivot table with Google Docs, you open your spread sheet with data, choose the Insert menu, and add the Pandora Pivot Table gadget to your spread sheet. Figuring out how to make the pivot table took a bit longer, but that's another post and I may wait until it moves out of the beta stage. 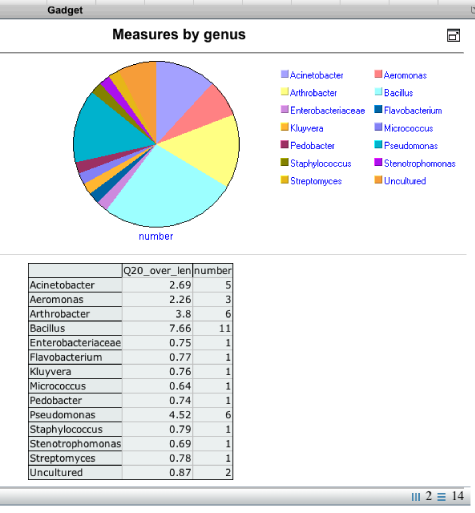 Here's what I made with our bacteria data. This pie graph shows all the bacteria that were isolated in 2004. 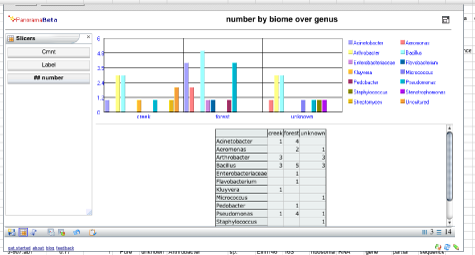 In the next graph, I split the bacteria up by biome (creek, forest, or unknown). And, as others pointed out, and I've decided they're right, a bar graph probably is a better way to do the comparison. This isn't quite the bar graph presentation that I had in mind, so I'll have to work on this one a bit. But it was quick and it's a start. 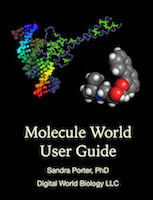 Now, for my fall bioinformatics class, I just have to write up the instructions and make another movie.